I am getting ready to move. I have moved thousands of times; and I somewhat enjoy it. I have always looked at it like a way to spring clean my closets. I have always enjoyed finding new jobs and creating new expectations. I am never surprised that those expectations don’t work out the same way in my head as they do in real life, but there is nevertheless a sense of anticipation that I enjoy. This move is so categorically different, that despite my anticipation, despite my expectation, there is a greater fear than ever before. This time I have children. This time I have to make sure that someone, other than myself, is fed, clothed and has a roof over their head. Deciding to move when these very things are at risk does not make for the same journey as every other move that I have made in my life. My parents moved many times when I was a child. I have no idea how many homes/apartments/towns/schools I changed. I never counted and truly never cared. My parents made it into an adventure, I was just there along for the ride. There was never a doubt in my innocent mind that I would be fed, clothed and sheltered. I never worried that we would run out of money trying to pay a mortgage, or that I would be in danger of losing the sense of safety that I grew up in. I look back at it now and understand the amazing gift that my mother especially gave me. I have a mortgage; I have a child in school. I have a husband whose pay takes care of their needs and gives me the ability not to have everything I want, but at least enough security to know that we will be alright. And I am getting ready to dramatically lose that net. I believe with my whole heart that unless you take a risk, you can’t expect anything to change. You can’t make life better if you don’t go out and get it. You can’t find happiness and make a better life for your children unless you put everything that is necessary on the line. Doesn’t matter how much savings you have, how good of a plan, you are risking it; and therefore, the other side has the potential to be greater than you ever know. Sort of like a lottery ticket; you can’t win unless you play. I believe with my whole heart that the risk my husband and I are about to take is the right one. I believe that ultimately, once we pass this phase in our life, we will get not everything we want, but more than what we have now. I know without a shadow of a thought that my children are going to be just fine; and I know that ultimately, that will keep me going as well. I have spent days, hours planning this thing out. Do we get a job first, or sell the house first? Do we put it on the market still living in it, or wait until we have left and it is empty? Do I have the ability to keep it clean enough, nice enough to have someone see in the house what I once did? Do I move with my husband, or take the time to pack it up and wait. What is the right moment? What is the right way? What makes the most sense for us all? If I were to wish it would go something like this: my husband would find a job with at least the same pay, we would move to the new city and into an apartment, our house would sell quickly, and we would settle into a new world. Does it work that way? I don’t know. I don’t know what it takes as I have always moved with a freedom I simply don’t have anymore. And the difference is so profound as to be absolutely staggering. I can handle the stress. I can even handle the thought of having responsibility of my children for days alone. 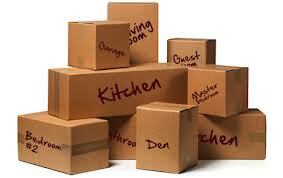 I can handle the packing, the cleaning, the throwing away of useless items I no longer need. I can handle the separation from my husband, and even the prospect of relying on others to handle some of the load; finding a new school, new apartment for me. What is hard to handle is the not knowing; the not trusting that if I simply let it happen with dignity and smarts everything will work out. So instead, I will once again bring up my plan on my computer and spend the day refining it. I will spend the day working hard to make sure everything that I can control is handled. I will spend the day doing everything I can to keep the sense of safety and adventure that my children need to feel. I will spend the day making sure the bubble around my children is secure. Because that is what counts. In ten years, I will laugh about this moment. In ten years I will roll my eyes, because the next challenge will be much harder and take more of my will. But now, I will just acknowledge that life just ain’t enough unless we are jumping with our eyes closed hoping the net will catch us. I truly admire your courage! You definitely are brave and I admire your confidence. I do believe things have a way of working out. Looking forward to reading about it!